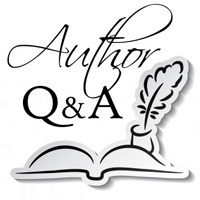 We are delighted to welcome author Bruce Wetterau to Omnimystery News today. Bruce's second mystery in his Clay Cantrell series is Killer Fog (Bruce Wetterau; December 2015 hardcover, trade paperback and ebook formats) and we recently had the chance to catch up with him to talk more about his new book. Omnimystery News: Into which genre would you place Killer Fog specifically, or more generally the Clay Cantrell series? Bruce Wetterau: I wrote Killer Fog as a mystery thriller, but as in Book One of the series, Killer Fog also has a back story set in an earlier time, the year or so before America was attacked at Pearl Harbor and entered World War II. So there is also an element of historical fiction in Killer Fog. That shifting back and forth between the modern day plot and the historical back story adds an extra dimension to the book that I like. And it intensifies the mystery. Writing in two different time zones, so to speak, is more challenging though. The two elements eventually have to relate to each other, so that they mesh into a coherent whole by the end of the book. I've been able to do that in the first two books, and I plan to keep the historical back story as a feature of all the Clay Cantrell Mystery Series books. (In Lost Treasure, Book One of the series, the historical back story is set at the end of the Civil War). Mystery will, of course, be the central theme of all the Clay Cantrell books, but I plan to keep coming at that in different ways. Lost Treasure, for example, is a mystery adventure story — a murder mystery within a treasure hunt adventure story. Killer Fog is a mystery thriller about lies, deceit, and treachery on steroids. Clay next might find himself smack in the middle of a police investigation tracking down a psychotic serial killer. That would be a mystery closer in style to the prototypical detective genre. Or Clay and Mac might wind up chasing a sinister enemy, eventually running the man — and the truth — to ground. The possibilities are endless. OMN: Tell us something about Killer Fog that isn't mentioned in the synopsis. BW: Well, I don't want to give anything away, but it's safe to say that Clay, Mac, and Jimmy are beginning to adjust to suddenly being millionaires, thanks to the gold they recovered in Lost Treasure. Especially Jimmy, who has been supporting his family on a high school history teacher's salary. Clay and Susan, Clay's girlfriend from Book One, are growing closer too, but I shouldn't say too much about that. OMN: How did you go about researching the plot points of your books? BW: Even in fiction, it's important to get your facts straight. Readers expect that. I'm not saying you can't invoke literary license, but you have to prepare the ground for it. And there is nothing worse than the inadvertent blunder, a seemingly unimportant (to the story) detail that sneaks by you because you are focused on what's about to happen next. I remember one of those embarrassing goofs from Lost Treasure. Clay, Mac, and Jimmy were navigating a narrow passage in a cavern and Clay, I think, was in a particularly tight squeeze. In the draft manuscript, I had him inhale to be able to get through. I know better, but read right over it multiple times. I don't remember who pointed out that Clay had to exhale to make it through, but I'm eternally grateful. Needless to say, I try to prevent mistakes like that before they get into manuscript. So I do a lot of research before I even begin to write. Inevitably more research questions come up while I'm writing. The internet has been a boon for that, and I am an habitual clipper of news stories and op-ed pieces. But I also get plenty of help with research from friends and experts with specialized knowledge. Sometimes, though, I have to resort to unusual methods. For example, I wanted a character in Killer Fog to hear a news report on his car radio. No big deal, right? Well, this scene was in a flashback to 1941 and the guy was driving a 1938 DeSoto. Radio had been around for a while back then, but I didn't know if radios had made it into cars by 1938. I Googled antique car images and interior shots of the DeSotos showed what probably was a radio. But I couldn't be sure. Coincidentally, a couple of days later, I drove past an antique car rally. Yes, I did a quick U-turn, and parked. Antique car buffs love to talk about their hobby, and sure enough, the owner of a 1938 vintage car confirmed that radios were indeed installed in cars that year. Because of its bulk, the radio itself was mounted under the dash on the extreme right side. Knobs and dials in the center of the dash connected to the radio by means of cables. OMN: Did you come across any particularly challenging topic to research? BW: That would either be researching the Low Energy Nuclear Reaction (LENR) phenomenon or the inside look at Muslim fundamentalist extremism. The LENR research took me back to my reference book days. The trick to that kind of writing is making a complex subject clear to the average person, and to do that you need to have a clear understanding of the subject. Well, that's not so easy when scientists themselves still are not sure about what exactly is going on in LENR reactions. So I read a lot and learned quite a bit, but in the end couldn't work in as much detail as I wanted into Killer Fog. The science is still too unsettled. I had better luck with researching Muslim fundamentalist extremism. At the outset of planning Killer Fog, I wondered whether there was any real connection between the Muslim religion itself and fundamentalist extremism. The key find there was a white paper posted on the internet, Shariah Law, The Threat to America, published in 2010 by a Washington think tank, the Center for Security Policy. It confirmed the link and provided an eye-opening look at radical fundamentalist designs that finally became all too clear with the rise of ISIS. Few people were aware of it before ISIS came on the scene, but Shariah Law is a rigid code of laws — devised by Muslims in the seventh century — that fundamentalists today believe should govern every aspect of Muslim life. Radical fundamentalists use it to justify their rigid laws, brutal jihadism, forced conversions, belief in Islamic supremacy, and the reincarnation (with ISIS) of the medieval Islamic caliphate, a totalitarian theocracy. OMN: Killer Fog has a striking cover. Were you involved with its design? BW: Yes. Given my interest in photography and the fact I have some print production experience under my belt, I decided to do the cover myself. Something mysterious and a bit threatening was needed and I had pretty good idea of how to do that. The idea of a knife-holding silhouette on a foggy night came to me first, but that wouldn't work all by itself. So, I went out to a nearby golf course just before dark and wandered around looking for a tree with a tall trunk and widespread limbs to help frame the scene on my book cover. I must have looked pretty weird out there at nightfall walking around with my camera and tripod in tow. But I got the shot I needed just as the light was fading — a dark silhouette of the tree and a lighter, but still darkish blue sky underneath the overhanging limb. That set the mysterious tone, and I didn't have to duck any flying golf balls either. Next came the knife-wielding silhouette shot. A friend agreed to pose in front of a pale blue sheet with a buck knife one evening at twilight. A couple of tries in the fading natural light didn't work, so we stuck a light behind him. Check. One silhouette done. I've always been fascinated by ruins of any kind, and as it happens a ruined mansion appears in Killer Fog. So, some ruins in the cover background could only add to the atmosphere of mystery. But so far as I know, there aren't any ruins around here to photograph. What to do? Google "mansions ruins," of course. Yup, Google actually coughed up lots of images, but nothing I liked. So I drew one freehand, scanned it, and dropped that into my cover file. Check. Mysterious ruins in. The fog gave me the most trouble. I kept hoping for a foggy day, but the weather refused to cooperate. Then I thought, why not do what Hollywood does? So I took a photo of a piece of white cardboard I'd lightly sprayed with gray paint. Then, using PhotoShop, I made the fog shot almost transparent and laid it over the tree, my friend's silhouette, and the ruins in the background. Check, cover image now good and mysterious. After that all I had to do was lay in the type for the title, the back cover, and the book's spine to finish getting the trade paperback cover ready to print. OMN: How much of your own experience have you included in your books? BW: That's hard to say. I didn't consciously set out to write about my experiences, but as the author I'm the filter through which all things in my novels must pass. So, I guess the answer must be some parts of me do wind up in the story, whether I'm conscious of them or not. When I'm planning a story or writing it, I look to pull together bits and pieces into a coherent whole — character traits, situations and settings, and experiences of my own and others, plus a healthy dose of imagination. It's part reporting from the world around us all, I suppose, and part imagining things as they could be. Or should be. So I guess when I do use my own experiences, they usually only provide a starting point. For example, in Lost Treasure, my experience as a hiker helped inform the scenes out in the wilds of Virginia. But believe me, I'm thankful I've never experienced what Clay, Mac, and Jimmy did! My firsthand experiences crept into the beginning and the end of Killer Fog too. I know all too well what it's like to drive on I-64 in dense fog, but as to the rest of it, that was my imagination at work. And that very last scene in Killer Fog? I don't want to spoil it for my readers, so I won't say any more than that actually did happen to me and a girlfriend, many years ago. BW: The best? Well, you'll hear it ad nauseam, but keep writing is good, practical advice. So is setting up a scheduled time to write. And reading good writers too. Dreaming about becoming a writer just won't get it done. You have to put words on the page. Lots of them. Over and over again, until it's almost second nature. BW: Book Three of the Clay Cantrell Mystery series! Bruce Wetterau, a former free-lance editor and author of eleven reference books, has been buying and renovating old houses in Virginia for over a decade. He lives in Virginia, where he writes, pursues his hobbies of hiking and landscape photography, and continues to work on houses. For more information about the author, please visit his website at BruceWetterau.com and his author page on Goodreads, or find him on Facebook. • Prof. Willard Wentworth, an American scientist, is about to realize his ambition of making a world-changing discovery. His Low Energy Nuclear Reaction (LENR) device, when perfected, will flood the world with cheap, clean energy — and end our addiction to oil. • Homeland Security has just posted a nationwide warning that a terrorist attack is imminent. The target is unknown. A devious scheme links these two seemingly unrelated events. Clay Cantrell unwittingly stumbles onto the fringes of this shadowy world as the scheme is taking shape. He is no hapless victim, though. These days, Clay and his long-time friend and partner, Mac Harper, run a company that restores old houses, but they are both ex-Army Rangers and know how to take care of themselves. They are not the kind of men to back away from a fight, or to let go of a mystery until it's solved. That's good, because this mystery has a long tail — reaching all the way back to 1940 and a fanatical Nazi spy ring operating inprewar America. With all the bad actors lined up against them, one mistake could cost Clay and Mac their lives. Meanwhile, the fate of that world-changing LENR discovery hangs in the balance.